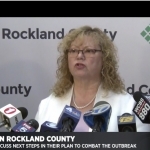 Health officials in Rockland County have stated that during this 6-month period, over 17,000 MMR vaccines have been administered in their county. 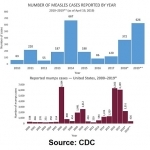 Given the fact that the MMR vaccine is a “live” virus vaccine where the vaccinated individual can be contagious for up to 30 days, could the mass vaccination campaign be a contributing factor in the measles outbreaks? 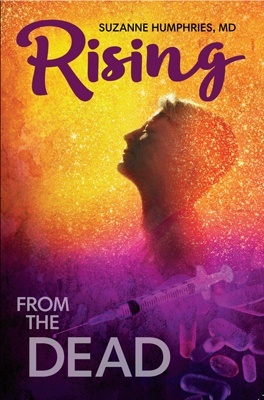 Excretion of small amounts of the live attenuated rubella virus from the nose or throat has occurred in the majority of susceptible individuals 7 to 28 days after vaccination. 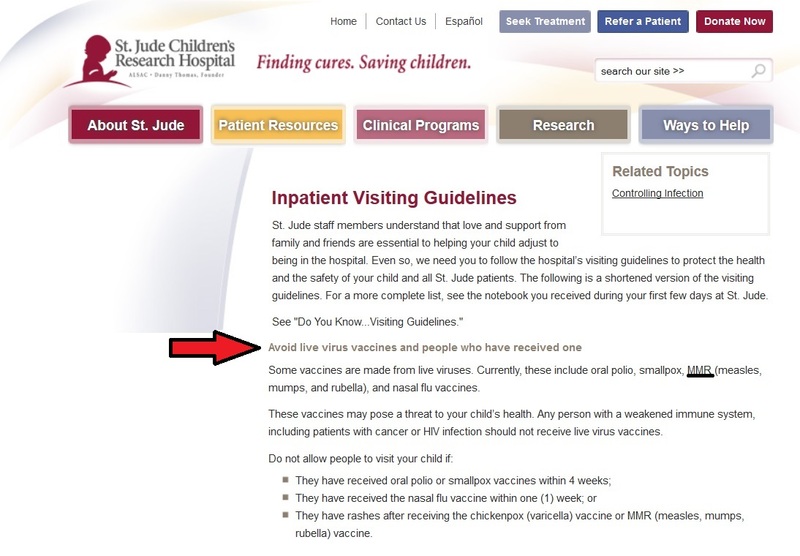 Most hospitals post warnings about visiting immune-compromised patients shortly after being vaccinated with live vaccines. Rebecca J. McNall, a co-author of this study, is a CDC official in the Division of Viral Diseases. 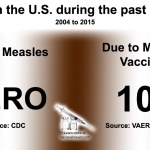 So the CDC has the data proving that some measles outbreaks are, at least in part, caused by the vaccine. 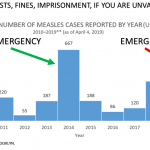 So far, nothing has been published about the measles cases in Rockland County that identify if the measles strains are wild, or vaccinated. Antivaxx or Anti Government Intrusion? 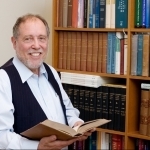 Lev Facher, writing for STAT News, reveals that rates of vaccination among Jewish populations is about the same as non-Jewish populations, and that the real reason many are opposing mandatory vaccinations is a distrust in local government. Despite the severity of the outbreak in their community, some Jewish leaders have bristled at the assertion by some public health officials and in media accounts that Orthodox families vaccinate their children at a lower rate than the general public. They say much of the problem stems less from concerns about vaccines and more from a gap in trust with the local government. Many in the Orthodox community… worry that the [ban on unvaccinated children] could only exacerbate a fractured relationship with the local government. In some cases, health inspectors have already been rebuffed by residents; phone calls have gone unreturned, attempts at home visits have been ignored. 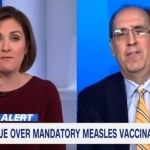 Government health authorities and the Big Pharma funded corporate “mainstream” media would like the public to think that “anti-vaxxers” are the cause of measles outbreaks and therefore a public threat, as they use this narrative to try and pass legislation to mandate vaccines against the will of parents and objectors. 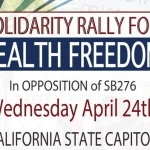 However, both pro-vaccine and anti-vaccine sentiments are represented in those who oppose government intrusion into private lives, and the denial of civil rights in trying to force medical procedures upon individuals who do not want them. 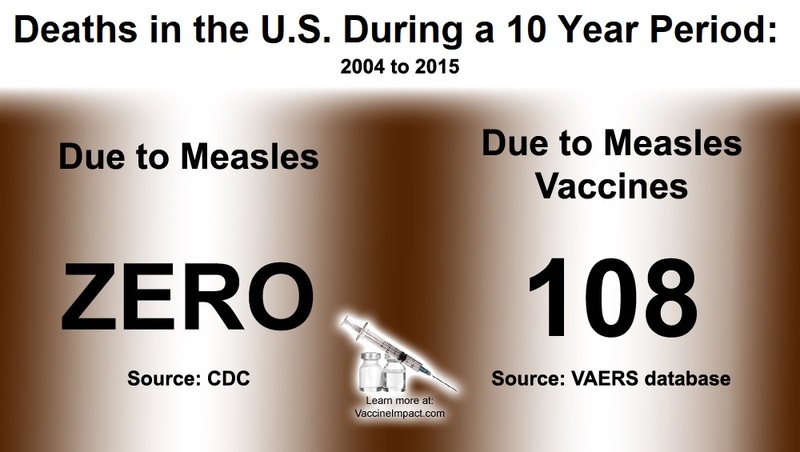 Statistics clearly show that the vast majority of the American public vaccinates their children. And yet, efforts to force vaccinations on those who don’t want them seem to be opposed by a majority of those on both sides of the vaccine issue. Since 2015, no state legislature has removed a vaccine exemption. This pushback against forced vaccination is being met with fury by doctors and lawyers inside and outside of government.. The signs are everywhere that people are trying to throw off the chains binding them to failed medical and public health policies that cost Americans more than three trillion dollars a year in health care costs. Who is Benefiting from Mass Measles Vaccination Campaigns? 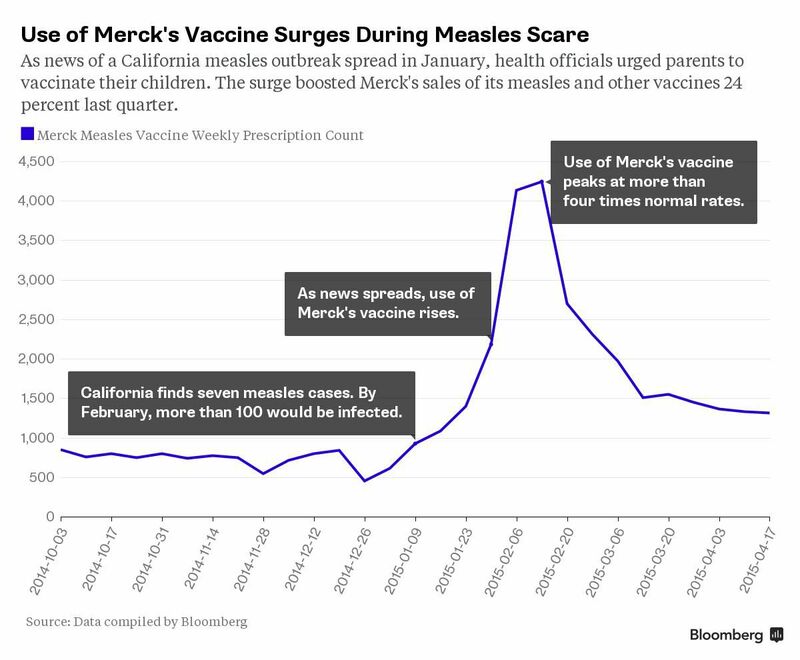 There’s nothing like an outbreak to get parents to vaccinate — or to help vaccine sales. No other product in the marketplace benefits more from government intervention more than vaccines. 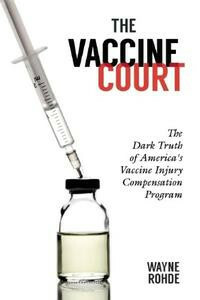 The 1986 National Childhood Vaccine Injury Act gave pharmaceutical companies total legal immunity from lawsuits originating from injuries and deaths due to vaccines. Today, if you are injured or killed by a vaccine, you have to sue the U.S. Government and go up against their high-powered attorneys to try and prove vaccine liability, while the pharmaceutical companies continue churning out vaccines at a record rate with no accountability. 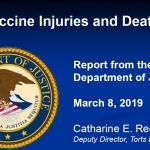 Health Impact News publishes the quarterly reports from this government-run “vaccine court” from the Department of Justice listing the settlements for vaccine injuries and deaths here. Corruption within the CDC and their revolving door with the pharmaceutical industry have been well documented. Julie Gerberding, for example, was in charge of the CDC from 2002 to 2009, which includes the years the FDA approved the Merck Gardasil vaccine. 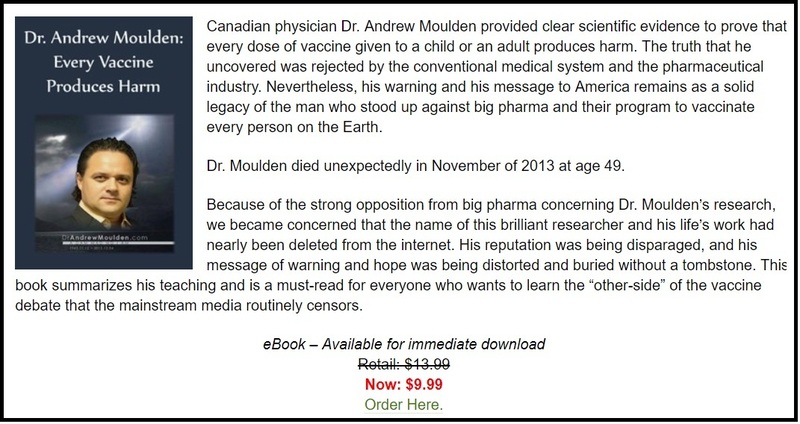 Did you know that the government earns royalties from the sale of Merck’s vaccines? So what is the real reason Rockland County is pushing a massive MMR vaccine public campaign, and attempting to pass local legislation that could make their ban of unvaccinated children permanent? “RK Pharma’s expansion into Rockland County represents another important next step in achieving the shared public-private goal of fashioning the campus into one of the foremost hubs for the life sciences in the nation,” said Jeremy L. Schulman, President & CEO of REDC. Health Impact News does not have any evidence at this point that this new venture in Rockland County has any ties to increasing vaccination rates in the county, and this may be purely coincidental, as Merck’s name is not mentioned. If anyone has evidence of a connection, please contact us here at Health Impact News.